This is the Buckingham Meeting House, as it has existed since 1768. Our ancestors would not have known this building, since it was built 40 years after George died and 20 years after Sarah died. 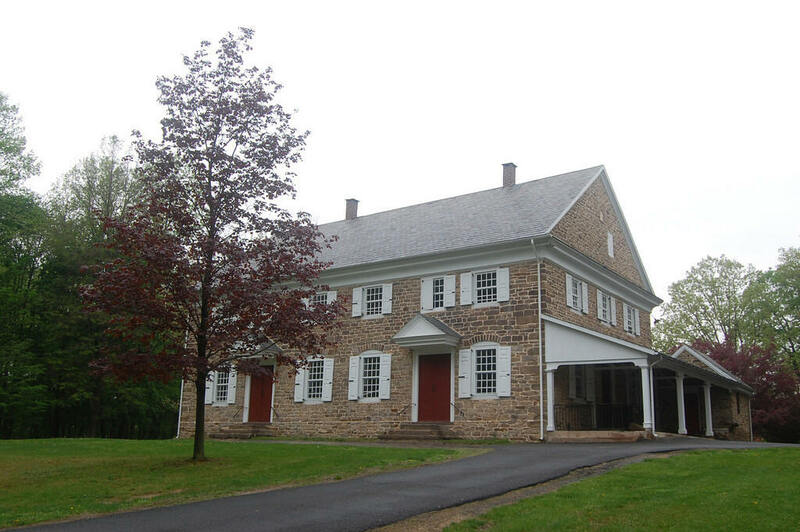 It is a National Historic Landmark, and it served as a model for the design of other Quaker meeting houses.